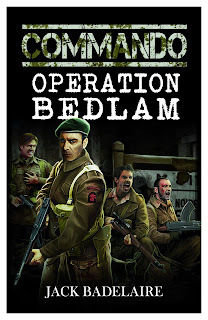 The Post Modern Pulp Blog: COMMANDO: Operation Bedlam Now Available in Kindle and Paperback! COMMANDO: Operation Bedlam Now Available in Kindle and Paperback! 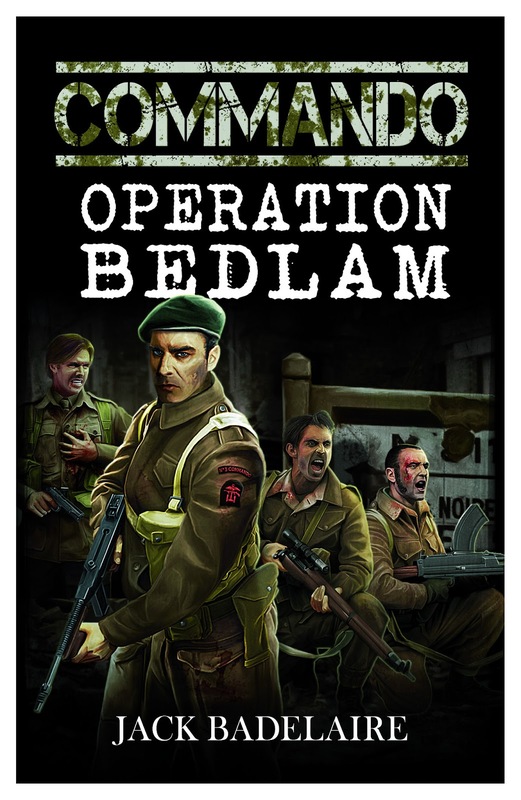 Although the book has had a week-long "soft launch", I wanted to let everyone know that Operation Bedlam, my second WWII British Commando novel, is now up and available for purchase in both Kindle ebook and trade paperback formats. You can click on the cover to the right of this article to go to Bedlam's Amazon page. Thankfully, I've already had two early readers - Mark Hall and Chris La Trey, provide me with great reviews on Amazon. The ebook is already selling in both the US and the UK, which is a great relief, and I'm hoping that within a month or two it'll be chugging along nicely, just like Arrowhead is right now. I wrote Arrowhead while wrapping up the first draft of Killer Instincts, as a way of clearing my head. It took me just over a month to write, but I wound up sitting on it for nearly a year, only releasing the book in August 2012. Since then it has done very well (by my standards), and in November I decided to write the sequel. I typed up the first draft of Bedlam from November through January, and immediately got it into the hands of my Beta readers. Within two months, I had incorporated all the great feedback I'd received, had it edited and proofed, and the book was on sale just about five months after I started writing it. Reading about the timeline involved in traditional publishing, I'm amazed at what can be accomplished these days through indie publishing tools and with a little motivation. For a no-name author such as myself to take a book from non-existence to being "on the shelf" and ready to buy in five months would be laughable under a traditional publishing model. Hell, I'd not have even seen a penny of my royalties from my previous two books! So, if you liked Operation Arrowhead, give Bedlam a try - I think you'll enjoy it.